Home Tags Articles tagged with "Maricopa Public Works"
A house on Pershing Street has been ready for demolition for months. Four properties in the Heritage District now have permits for demolition as part of the city’s anti-blight campaign. Public Works received permits to demolish homes on Pershing Street, Burkett Avenue and Maricopa-Casa Grande Highway. In July, the city council agreed to move forward on the demolition of three of the properties. Public Works Director Bill Fay said federal grant-funded projects take longer to execute than local demolitions. City Hall has been without a procurement specialist, which has also slowed the process. The demolition permits are good through July and can be extended. The city does not own the properties but is paying for the demolition through a Community Development Block Grant awarded by the U.S. Department of Housing and Urban Development. The property at 19514 N. Pershing St. belongs to Miguel “Mike” Diaz. The property at 44378 W. Maricopa-Casa Grande Hwy. belongs to Lucia Gastelum. The property at 44548 W. Burkett Ave. belongs to Edgar Pimentel, and the property at 44536 W. Burkett Ave. belongs to Palo Brea LLC. 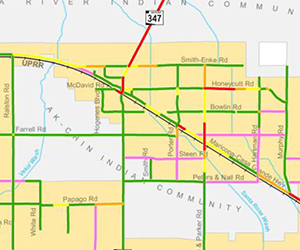 In coincidental but unrelated activity, Arizona Department of Transportation intends to begin tearing down structures on properties it owns in the Heritage District in February to make way for the overpass. Actual construction of the overpass is expected to begin later in February, delayed by Ames Construction’s continuing work on an earlier project. The new Maricopa Public Works and Fire Department building on Edison Road has nearly been completed and will see employees slowly move in before its opening on Feb. 9. The new building brings Maricopa residents another step closer to the eventual Estrella Gin Business Park that is planned for the area southwest of Acacia Crossing on Edison Road. 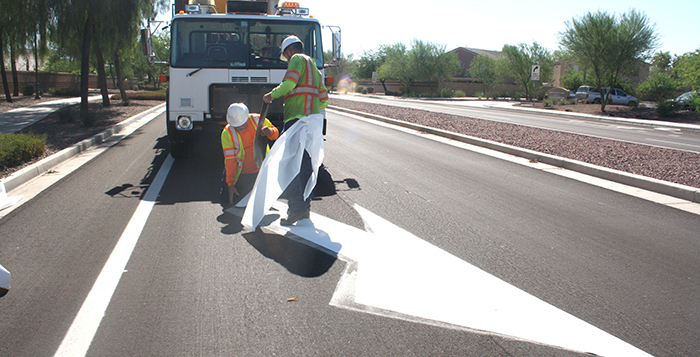 Employees from Maricopa’s Public Works Department’s “street crew” will relocate to the building as well as members of the MFD maintenance crew. The building is expected to mostly serve as a maintenance facility. 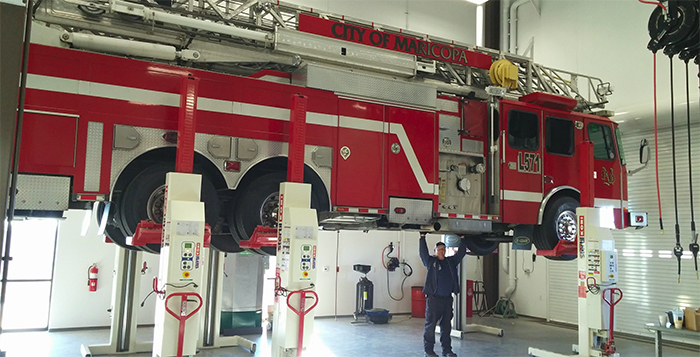 Fire maintenance will repair vehicles at the new location, and members of the street crew will use the building as a dispatching and maintenance area. The building will officially open when the city holds a ribbon-cutting ceremony on Feb. 9 at 5 p.m.